Millennium Trust Company is a massive IRA account administrator and record-keeper with over 305,000 accounts and around $11 billion under management. They deliver a range of alternative and traditional asset investments to their varied client base of individuals, financial advisors, and institutions. The company charges a bit higher fees for this wide array of offerings at $200 for administration and storage fees. There are no sliding scale fees unless a client opts for segregated storage of their precious metals, which costs another $75. Millennium Trust Company is ranked #7 on our list of the top 10 precious metals IRA custodians of 2019. In the following review, we’ll discuss this custodian’s history, management, reputation, products/services, and fees. Millennium Trust Company (http://www.mtrustcompany.com/) is an industry-leading financial firm that specializes in providing a broad range of custodial and administrative services to individuals, institutions, and advisors. The company was established in 2000 and has since amassed a client base consisting of more than 305,000 accounts, with more than $11 billion in total assets under custody. Millennium Trust Company's staff consist of more than 200 experienced professionals, about a dozen of which are part of the key management staff. The company's CEO is T. Scott McCartan, an investment specialist with more than 35 years experience in the financial industry. To learn more about their management staff, see their Key Managers page. You can see by the fee schedule above that the annual maintenance fee for holding a precious metals IRA with Millennium Trust Company is set at a flat-rate charge of $100, with a flat-rate depository storage fee of only $100 as well. Thus, the total annual cost of having a Gold IRA with MTC is $200. That fee does not change or increase with the value of your account in the way that some custodians charge sliding scale fees, unless you want segregated storage, in which case it would cost $75 more. If you'd like to see the rest of Millennium Trust Company's fee schedule, click here. Why MTC? – Their About Us page, which includes a company overview and information about the company's history, location, quality commitment and management staff. 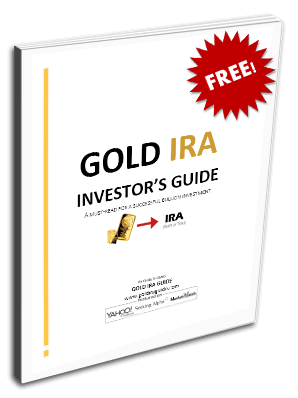 Precious Metals IRA Investment Overview – PDF guide discussing the basics of investing in a precious metals IRA. Learning Center – A comprehensive knowledgebase complete with demos, webinars, IRA guidelines, investor awareness information, a FAQ section and more. Choosing a custodian to administer your precious IRA is not a decision that should be overlooked or underestimated in importance. Although most financial advisors only recommend allocating between 5% – 20% of a retirement investments towards precious metals, this seemingly small portion of your portfolio could wind up being the most pivotal investment you could make. As the threat of hyperinflation continues to loom on the horizon, there is a very good probability that gold and other precious metals will continue to increase in demand and in price. As other forms of currency are gradually devalued, prudent investors are becoming increasingly interested in protecting their wealth with gold, driving the demand up, and therefore the price as well. This essentially means that the longer you wait to invest in gold, the more likely it is that you'll have to pay a higher price per ounce. It also means that converting some of your cash holdings to gold is the best way to protect against inflation and the possibility of currency debasement. With this investment being of such critical importance, we strongly suggest that you consider all options before making a commitment. You might want to start by comparing the top Gold IRA companies, and learning more about the top precious metals IRA custodians. If you're an owner, representative, or associate of Millennium Trust Company and you've noticed any information within this review that us outdated or inaccurate, please do bring your concerns to our attention. We will gladly revise or remove any content that is not in line with our goal of providing the most accurate and useful company reviews. They provide services to individual investors, financial advisors, and institutions alike. With over 305,000 accounts and approximately $11 billion under management, they are large, well-established, and impressive in scope. They offer traditional and alternative asset class investment solutions. Fees for both administration and metals storage are a little high at $200 for co-mingled storage and $275 for segregated storage. Sliding scale fees apply for segregated storage accounts.